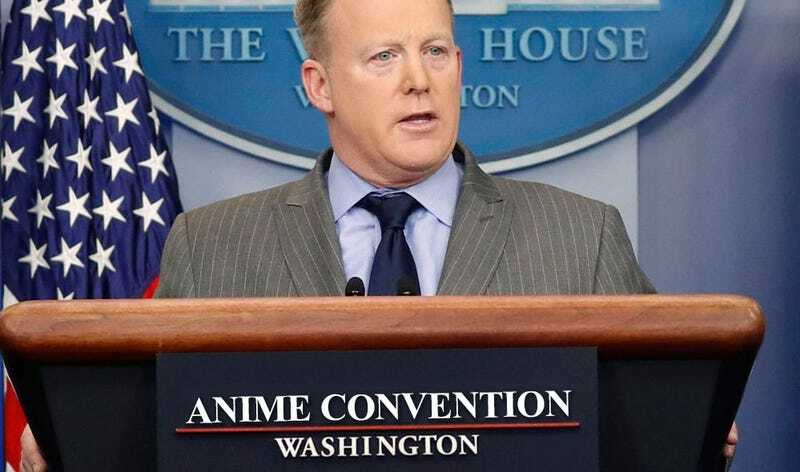 Katsucon, one of the biggest anime and cosplay conventions in the United States, has a surprise fan and former attendee (at least outside the resort): embattled White House press secretary Sean Spicer. I’m going to guess formally for the purposes of this serious news story that since the tweet was made on Spicer’s phone that he’s the one taking the picture. For my personal purposes though, I’m going to hold out hope he’s the one in the Gundam suit.